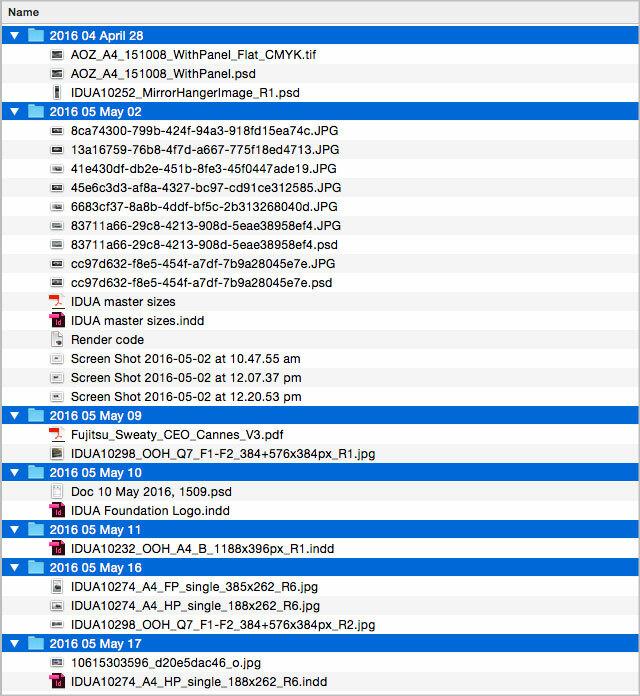 I often find that I collect a lot of supplied files in a folder that soon becomes disorganised. 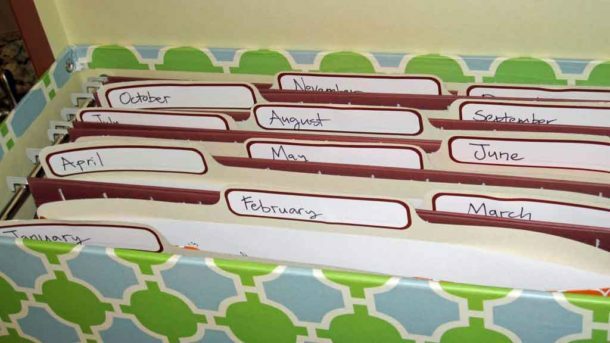 A quick way to organise things is by filing them into folders according to their modification date. Install this script in the Finder toolbar as explained fully on the Dr Scripto home page. 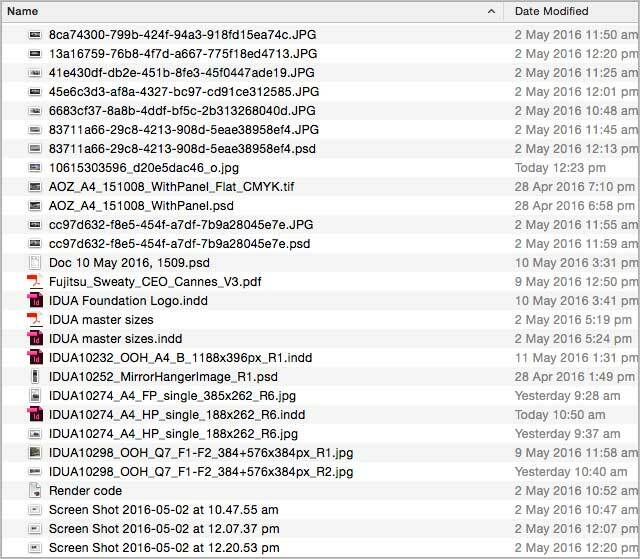 Select some files and activate the script by clicking the its icon. 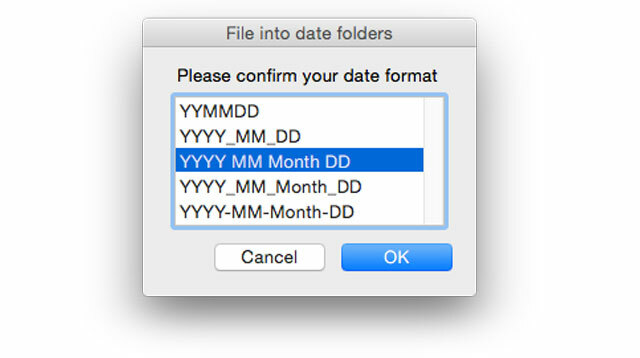 The selected files (and folders) will be filed into new folders based on their modification dates. 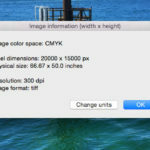 The script gives you a number of options regarding the naming convention of the folders. 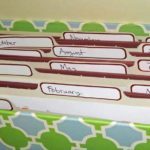 Each option is designed to put the folders into alphabetical and chronological order. Whatever you choose will become the default for next time.